I have discussed previously the locomotive assignment booklets used for a number of years by Southern Pacific, and commented about how to use such a booklet for choosing my 1953 locomotives to model (you can see it at: http://modelingthesp.blogspot.com/2011/04/choosing-1953-locomotive-roster.html ). But I didn’t say much in that post about the assignment booklets themselves. I want to say more in this post. Shown below is the cover of a typical booklet, this one for March 31, 1950. 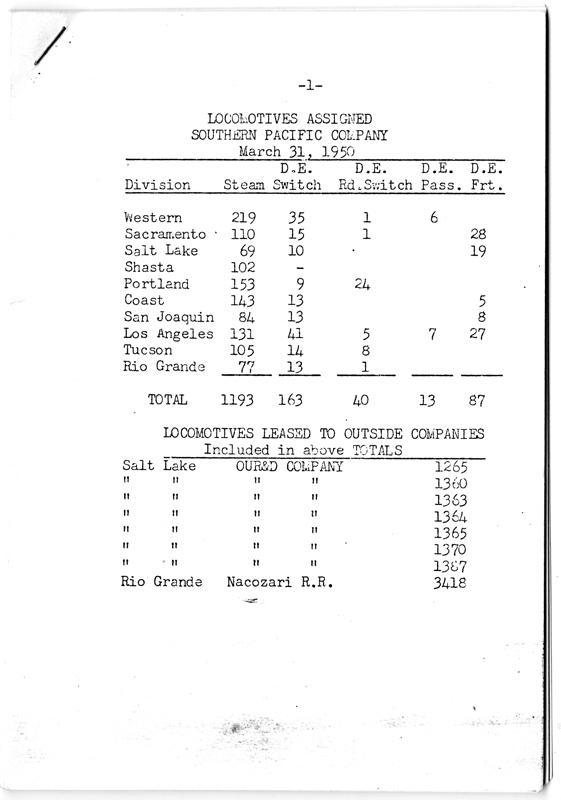 These were issued quarterly, and naturally describe all locomotives on the Pacific Lines part of the SP system (the summary shows system-wide totals for all Pacific Lines divisions). You can click on the image to enlarge it. 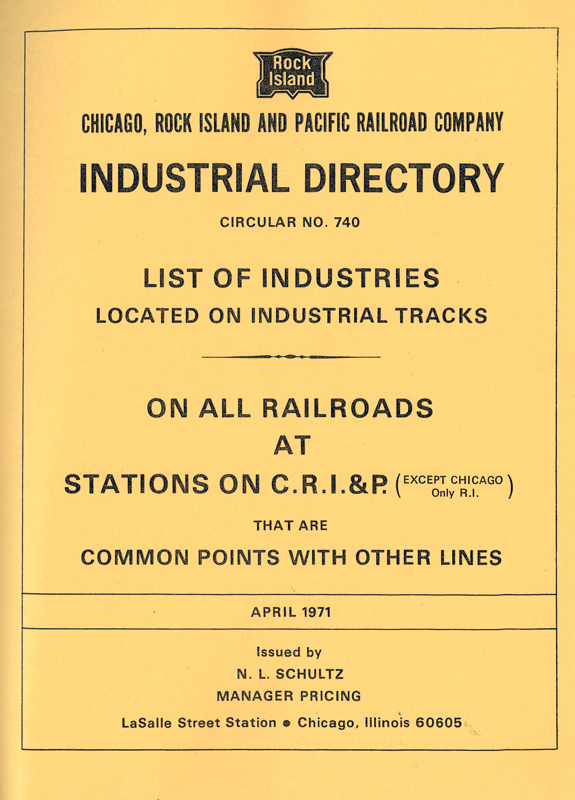 Within the booklet, each division had a separate listing. 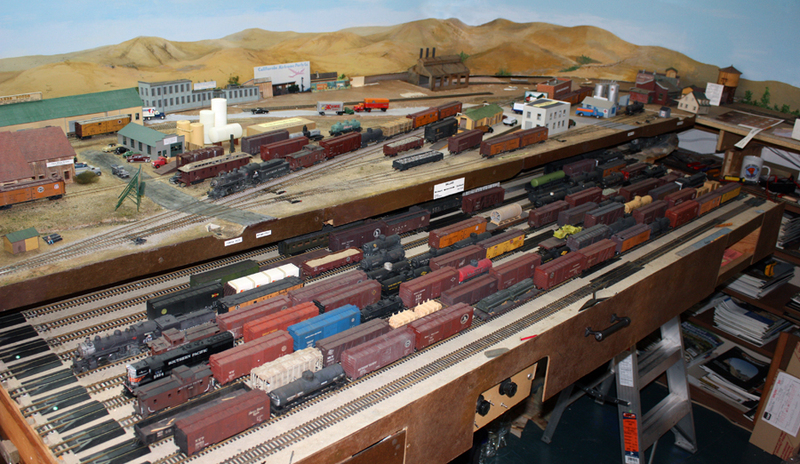 I show below the two pages for the Coast Division, which is the division within which my layout is sited. Of course this division extended far beyond the area I model, from Santa Barbara in the south, to San Francisco, and thus included the entire Peninsula commuter district (at that time, spanning San Francisco-San Jose). 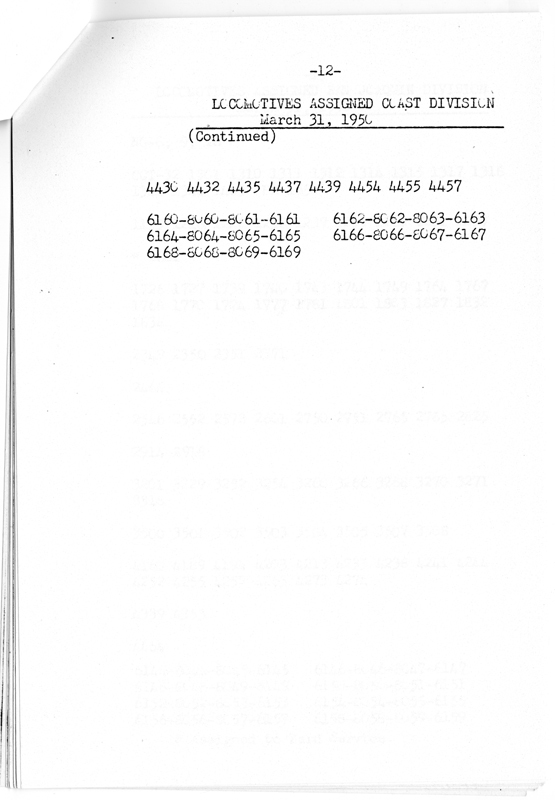 Here is page 11 of the March 31, 1950 booklet. 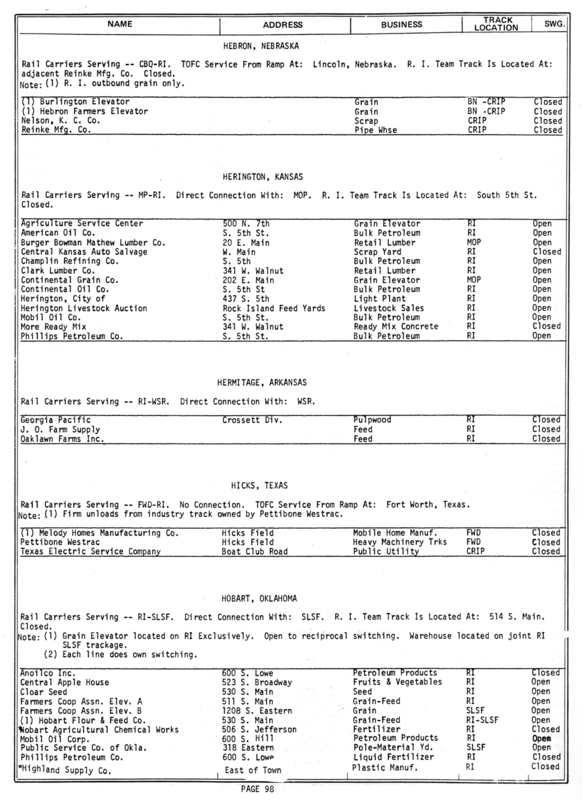 Note here that at this time there were 13 diesel switchers and 26 steam switchers, along with nine Consolidations and a Mogul also assigned to yard service, to do the division’s switching. In addition to large yards at Bayshore and Santa Clara, division point yards at Watsonville Junction, San Luis Obispo and Santa Barbara had to be worked. 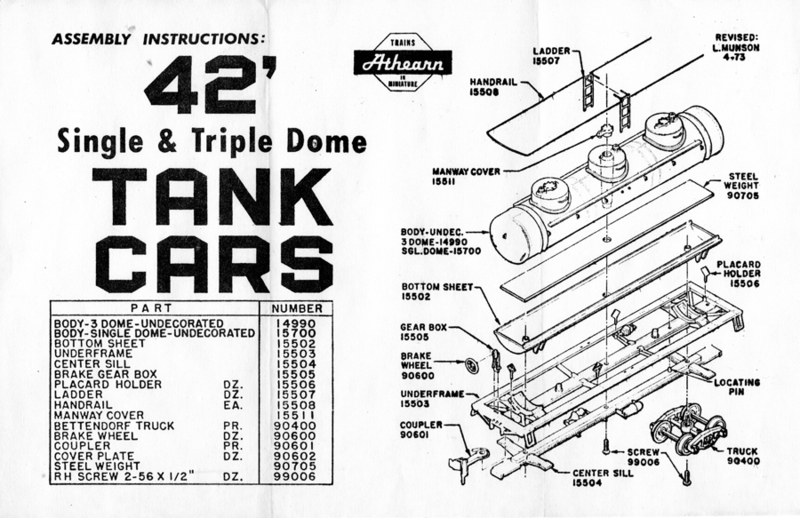 The second page, page 12 of the booklet, shows the remaining engines. 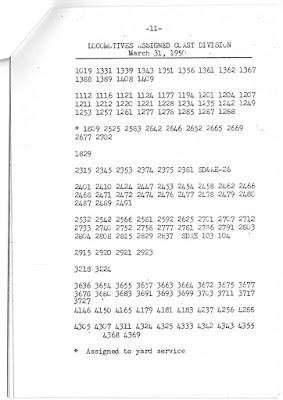 It is interesting, looking at these two pages, to see the large number of Consolidations, and the relatively small number of cab-forwards at this time, and only five A-B-B-A sets of F units. 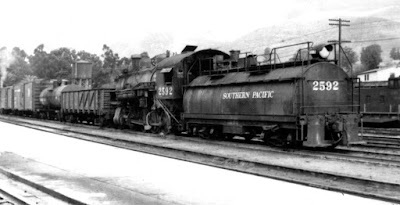 That would change as dieselization proceeded, because the new F units were preferentially assigned at first in desert and mountain regions, where their tractive effort and absence of water consumption made them big advances over steam power. Meanwhile, the displaced steam gradually migrated into California on the lesser gradient areas, including Coast Division. Commute service on this division accounts for the substantial number of Pacifics, Mountains and GS 4-8-4s on the roster, relative to most other SP divisions at the time. 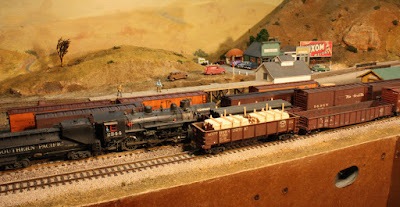 I have chosen my locomotive numbers from these assignments, combined with examination of yard and roundhouse photos at San Luis Obispo, the nearest locomotive facility to my layout’s mythical Santa Rosalia Branch. 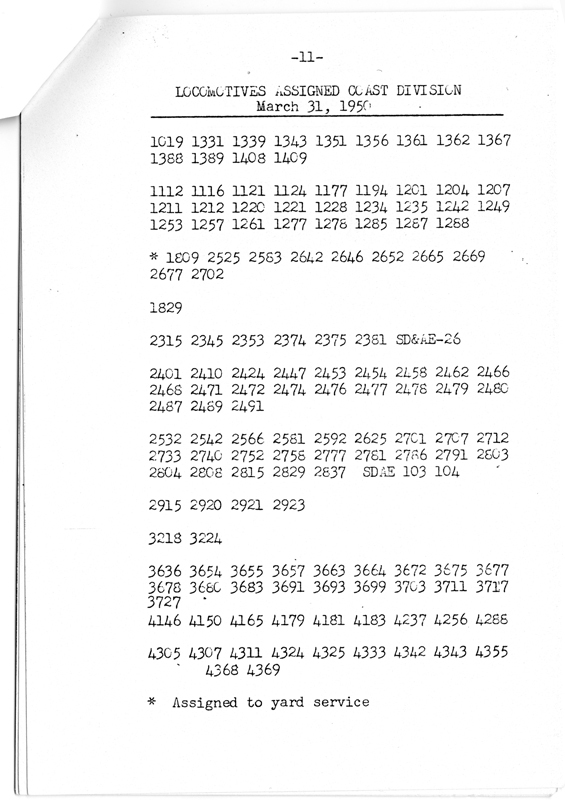 Among the Consolidations listed on page 11, you can see numbers 2592, 2752, and 2829, all of which are on my layout. I also have an S-2 diesel switcher no. 1389, which as you can see was also on this division. 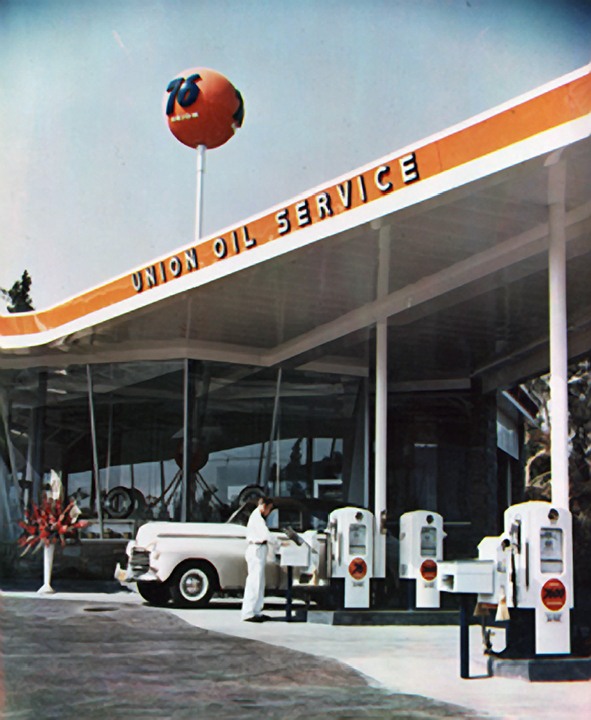 The booklet shown above is for 1950, but in 1953 these same engines were still at San Luis Obispo. 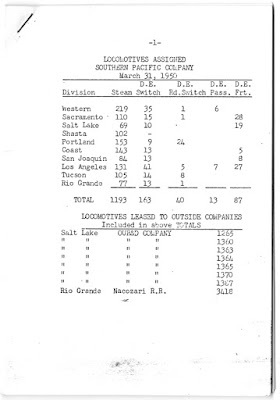 I discussed these same issues, and showed a San Luis roundhouse photo, in the post cited at the top of this post, along with showing a 1952 locomotive assignment sheet. 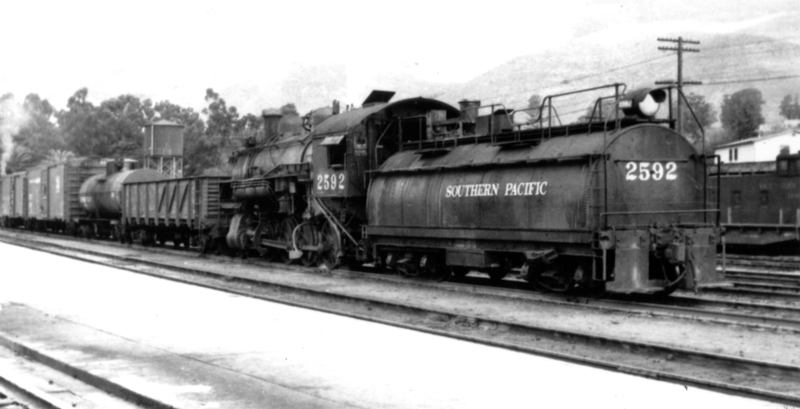 One of the truly distinctive locomotives assigned for years at San Luis Obispo was Consolidation 2592. In the last years of its active life, it had a “whaleback” tender inherited from an early cab-forward. Here is one view of the engine switching at San Luis Obispo, taken in January 1954 by Rod Crossley. Note that the road name on the side of the tender is smaller than was standard after 1946. This locomotive is Class C-9, built by Baldwin in 1906, and like many Harriman Consolidations, so useful that it remained in service when newer and more modern engines were going to scrap. Here is my model of SP 2592, switching on my layout at Ballard. 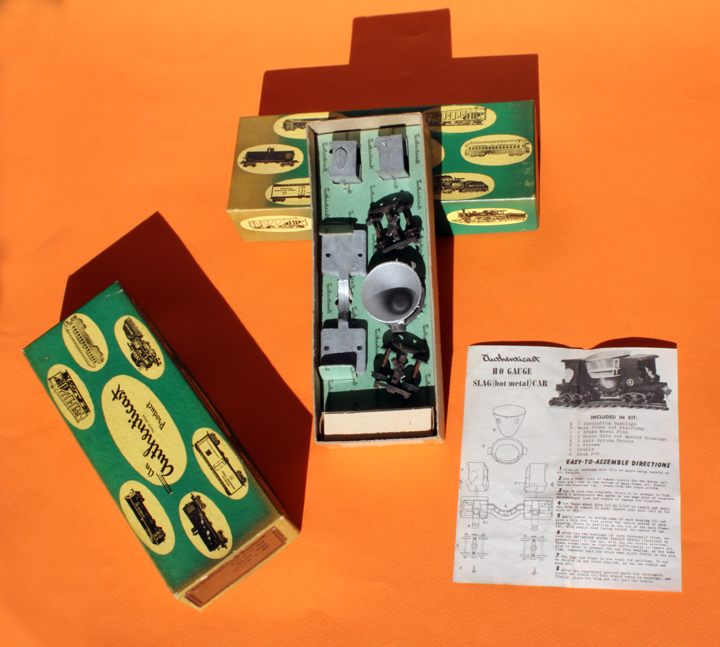 This model combines a Key brass SP 2-8-0 with a Westside brass tender, making this a distinctive locomotive. Today it also has DCC and sound, thanks to Al Massi. 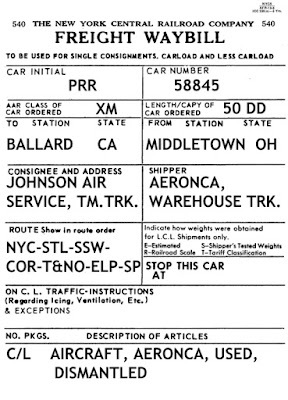 This single locomotive example illustrates one way to use the assignment sheets, combined with photographic evidence of how locomotives were configured and even lettered, to provide a realistic part of a layout locomotive fleet. 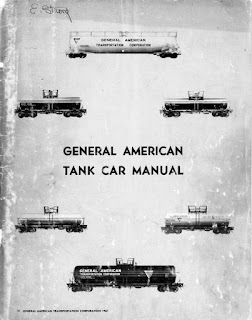 I have written several times about the variety of commodities carried in tank cars, and the fact that certain commodities required special cars. 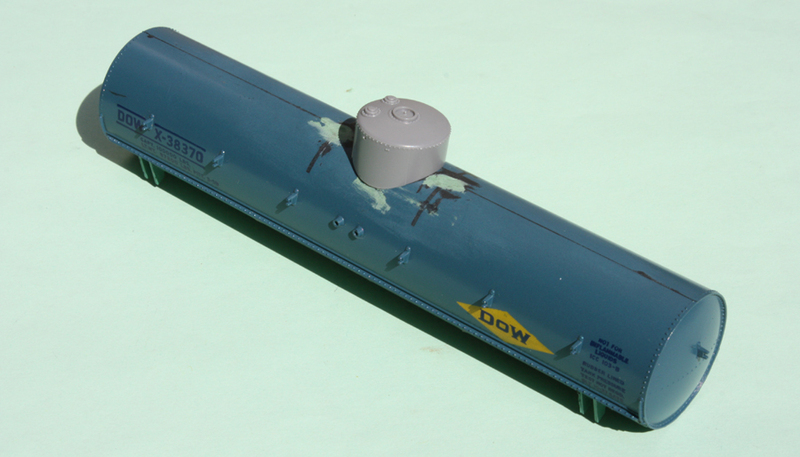 Of course, many edible products and many simple chemicals can be carried in general-service tank cars, AAR class TM and ICC class 103, or even in non-regulated tank cars of classes like AAR-201 and AAR-203. 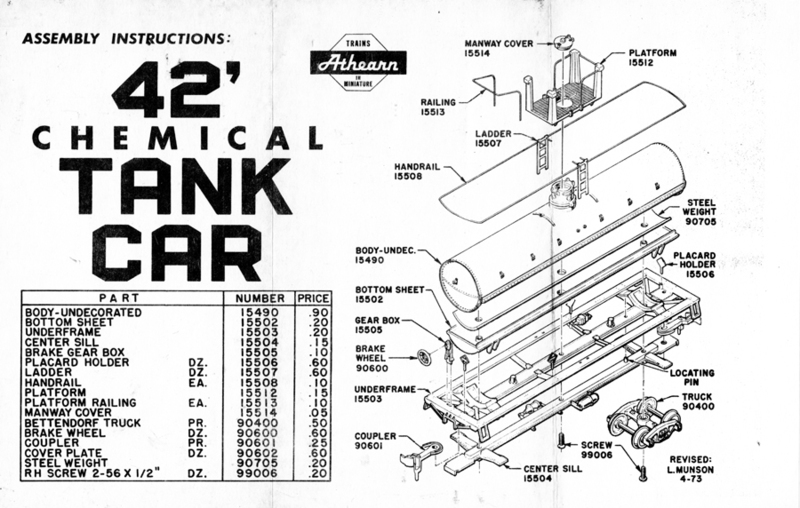 But many corrosive, flammable, dangerous, or poisonous commodities have regulatory limits to how they are shipped, and must be carried in certain types of tank cars suitable for those cargoes. 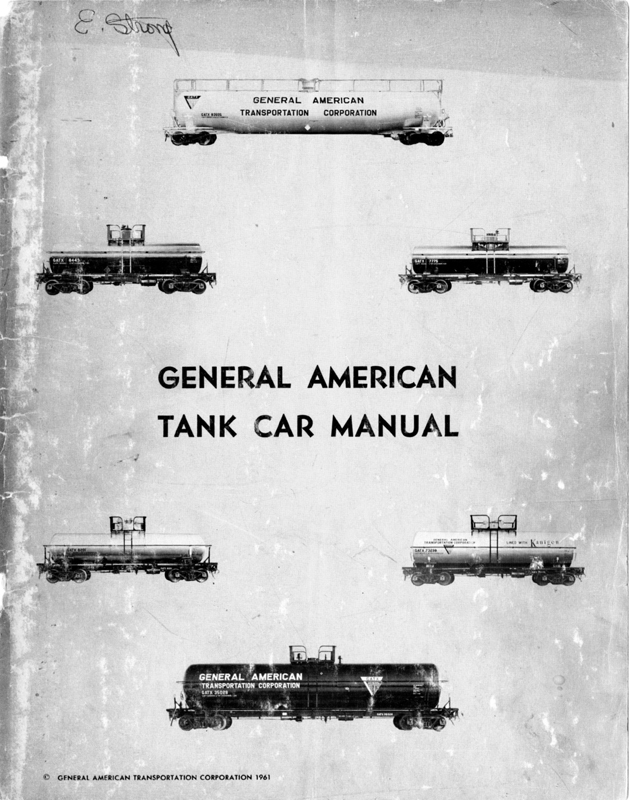 A fairly complete table, occupying 14 book pages, was issued by American Car & Foundry, and was published as an Appendix to Edward S. Kaminski’s book, Tank Cars, American Car & Foundry, 1865 to 1955 (Signature Press, Berkeley, 2003). But of course not everyone has that book on their shelf, even though as a partner in the publisher, I think they surely ought to own the book <grin>. A comparable table was published and distributed by General American Transportation Corporation, in several editions over the years. I have a copy of the one published in 1961. It is a most informative document, filled with operating directions, general arrangement drawings for complete cars, and also detail drawings of specific parts. Here is the cover (a little worn with use). Anyone can download the PDF for their use, or print it if desired. 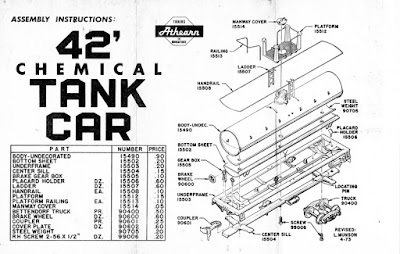 In an upcoming column in the “Getting Real” column series in Model Railroad Hobbyist, I will be discussing tank car construction and details, as well as usage, and this commodity table will be one of the tools to identify cars with cargoes. It’s my hope that this table will be use to modelers who wish to correctly marry their tank car models with appropriate waybills for suitable cargoes. That is the main way I use either one of the two tables (from AC&F or General American), and there are only a few differences in detail between the two. 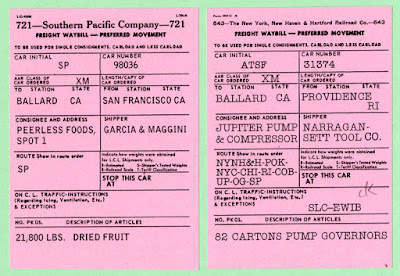 Among the refrigerator car owners from which Pacific Fruit Express borrowed cars during the PFE peak harvest months was Fruit Growers Express. 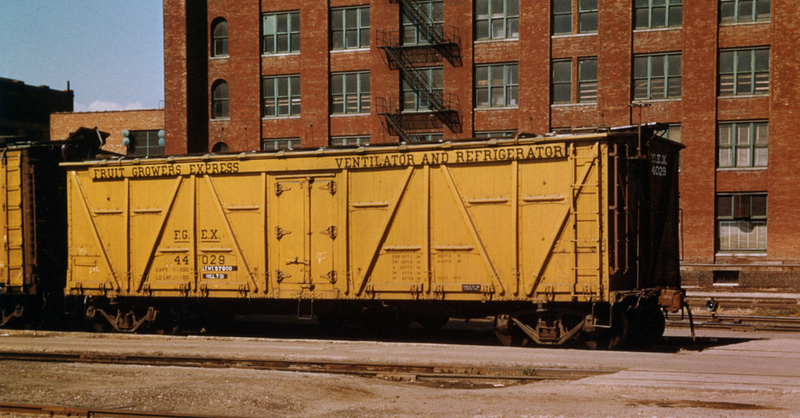 These borrowed reefers could be any available cars from the entire FGEX fleet, including associated fleets from the Burlington (BREX) and Great Northern (WFEX), fleets which were operated by Fruit Growers as fully part of the FGEX fleet. For this reason, I need to model some of these cars. I already have on my roster a steel BREX car and wood-sheathed cars from WFEX and FGEX. But I could use one or two more. A number of years ago, at a swap meet, I saw a fairly nicely assembled reefer from a Red Ball kit (or I believe that was the origin), for one of the Pennsylvania Railroad R7 refrigerators. It had been painted in a layout owner’s paint scheme of white sides with a horizontal blue frame stripe, but didn’t look too bad otherwise. The price was right, just one dollar as I recall, so I bought it. 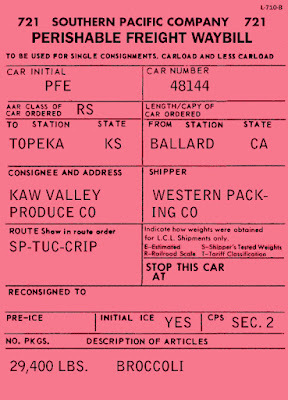 I knew that when the PRR had joined Fruit Growers in the 1920s, the existing R7 cars had been transferred to FGE ownership. This car, as many know, was the refrigerator version of the X23 box car, with a complex pressed-steel exterior frame, built starting in 1913. This makes the exterior of the R7 visually striking, and I thought this would be an interesting addition to my FGEX fleet. I should quickly interject that I know perfectly well this model falls far short of the beautiful Westerfield kit for these cars (kit 1160x, with the “x” being a number for three different roof versions available), and these are in stock as far as I know (you can check availability on their website, at http://www.westerfieldmodels.com/ ). But this is not a central part of my reefer fleet, so I’m willing to accept the compromises of this version. You may of course reach the opposite conclusion for your fleet. 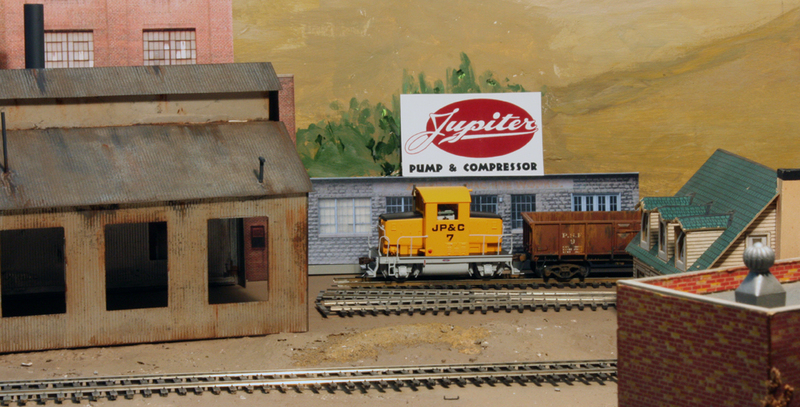 It was easy to mask the boxcar red roof and ends and repaint the sides a golden yellow, as Fruit Growers used. Lettering was the next challenge. Although I am not aware of a decal sheet exactly for these R7 cars, the excellent Speedwitch Media set D119.1, for 1948-era paint, looked like it would work. 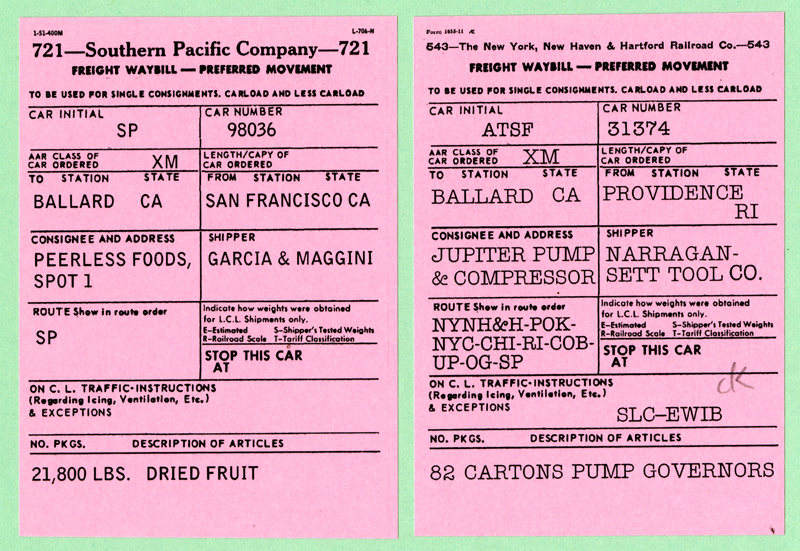 These cars had been put into the FGEX number series 43500–46999, and even in the 1950s, some of these cars soldiered on in Fruit Growers service. Below is a prototype photo, taken in Sioux City, Iowa on September 30, 1952 (from the Bob’s Photo collection, used with permission). The car at left is notably taller. The R7 car height was not unusual in 1913, but cars gradually got taller and taller in the ensuing 50 years, up to my modeling year of 1953. I chose a car number within the series noted above, and applied the decals, then weathered the model to suggest a car with lengthy service since it was last painted. 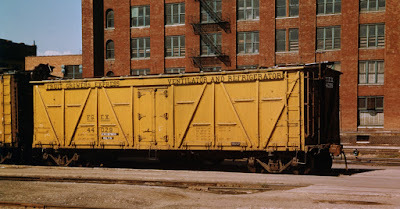 In the photo below, notice how much shorter the car is, compared to the PFE steel reefer to its left, just like the photo above. In service, these cars were limited by their small interior height and lack of floor racks, plus relatively thin insulation. They were accordingly used for dense cargoes like potatoes, or cargoes not requiring low transit temperatures, such as onions. I will waybill them accordingly on my layout, and am pleased to have one of these distinctive cars in my freight car fleet. Most of us have a stash of kits and materials, sometimes impressively large (I’ve known modelers whose stash rivaled a small hobby shop), others much less so. And most of us know that an awful lot of the stuff is not going to get built or the materials used. That’s more obvious with a huge stash, where a program of building at a rate of a kit a week might require a decade or more at that rate to make a sizable dent in the total. But even a smaller stash may contain a fair amount of stuff that no longer fits your needs or interests. I should say right away that I have no problem with kit collectors. I have known some, and was truly impressed with their encyclopedic knowledge of kit manufacturers and history. But sometimes you are surprised when you run into one. I once bought a couple of Authenticast slag car kits in a convention sales room, and when I let slip that I was looking forward to building them, the seller practically tried to grab them back from me. “Build them . . .” he said in dismay. I got out of there as fast as I could (by the way, they still aren’t built, as the smelter I once contemplated hasn’t materialized). But really, I’m sure I’m not a collector. Here’s a photo of what these kits look like. But when I say I’m not a collector, what I mean is that I really intend (at the time) to build or use the stuff I buy, though I will concede that some of my purchases have been with the thought that someday I might need that item. And we have all learned in our years in the hobby that if in doubt, buy it. It will likely cease to be available, either out of production or the kit maker out of business or something else. Buy it now or regret it later, the saying goes. I have certainly followed that injunction in some cases. Naturally many of those purchases, made with the best of intentions, somehow slip out of contention for building or use, like my slag cars. And certainly freight car kits, of which I once had a truly serious stash, can pile up on you in the most unnerving fashion. The question is how you evaluate this. Maybe you are turning into a collector and haven’t realized it yet. A clue is when you really like owning “that kit” or “that brass engine” but have no interest in building or painting it, and certainly no interest in selling it. Nothing wrong with that, though I do advocate facing up to the reality that is right under your nose. Or maybe you have just let things get out of hand. You know perfectly well that some of those kits were bought with objectives in mind that are no longer operative. I used to pick up structure kits all the time, when I lived in Pittsburgh and my layout had several sizable areas which were undefined, and thus could conceivably host any one of a number of structures. Now those areas are far distant in the rear-view mirror, and the kits, though still kind of nice, are clearly surplus. 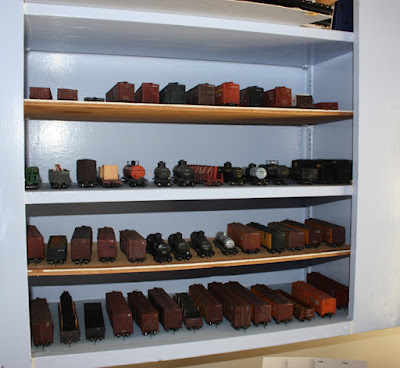 And there were plenty of freight car kits on my shelf which, when I looked at them objectively, really were not needed for my freight car fleet nor were sufficiently “fun” just to build. That makes ’em surplus. 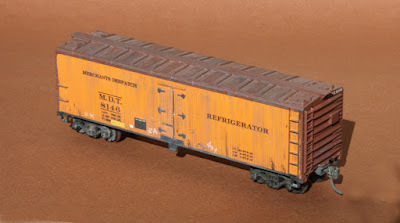 I have written in earlier posts about the gradual change in my freight car fleet, with the disposal of older models as well as unneeded kits (for example: http://modelingthesp.blogspot.com/2014/12/a-right-size-freight-car-fleet.html ). The process continues. I never planned to replace the older models which were the best I could do at that time (remember when Athearn “Blue Box” box cars were the starting point for all 40-foot steel box cars? ), but that’s what has been happening over the last two decades. I have now disposed of close to 350 cars, in the form of kits and of older, complete models, and have acquired or built about 275 new cars, in kit or ready-to-run form. The net effect has been to reduce my stash of car kits substantially. 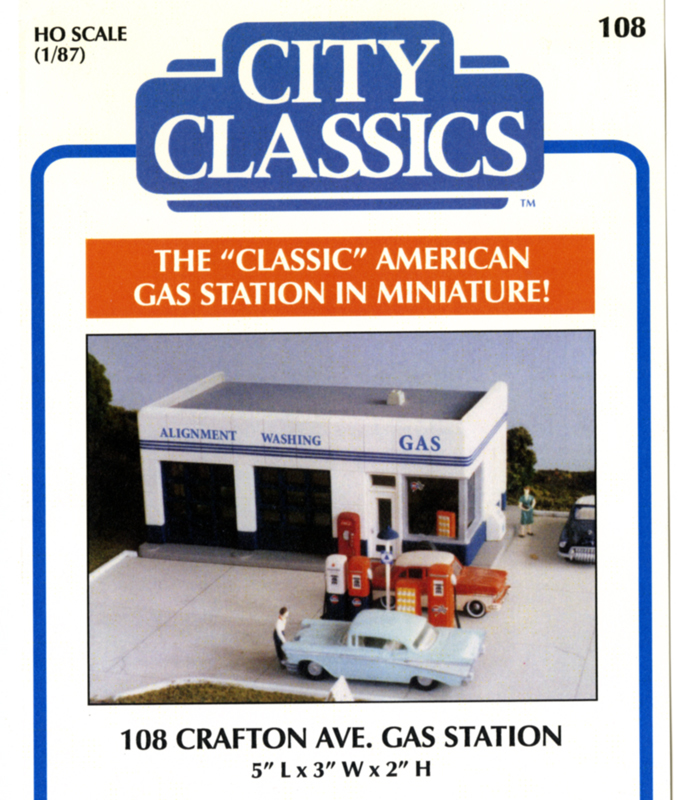 Resin in particular has been addressed very thoroughly, with more than 125 resin car kits either built or sold. 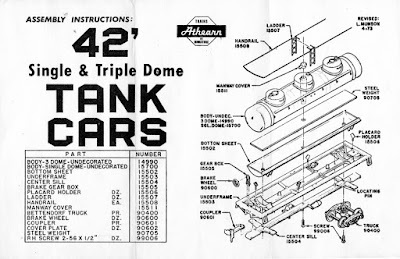 One good effect of car kits of various kinds passing through my hands is that in many cases I have made a Xerox copy of kit instructions to keep, as the information can be pretty valuable in itself, not only the prototype data but model-building techniques. I even like to look at the instructions for kits owned for a long time, as a reminder of what I once wanted to do, and that can refresh some of my present planning. So even keeping your stuff moving can leave you with something of value. 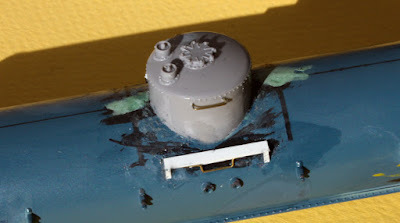 Practically every modeler has a stash of some kind, whether it’s structure or car kits like I discussed above, or brass engines that you “might need,” or materials like brick paper or basswood sheet or flat brass wire or . . . you recognize the pattern. This can be an asset when you need something out of that collection, but may need to be dealt with when it starts to overflow the storage space — or overflow what you are comfortable holding on to. It just needs to be evaluated from time to time. Over the years, I have accumulated a few older models that continue to serve as “mainline” freight cars, that is, cars which normally do not get switched to or from my on-layout industries, but simply pass by in the mainline freight trains (this was discussed in the last paragraph of this post: http://modelingthesp.blogspot.com/2010/12/upgrading-old-models-3.html ). Some of these have older trucks I had never bothered to replace, and recently I got to looking at a few of them and decided they needed to be upgraded. If nothing else, this can be seen as a response in accord with my freight car standards (see for example: http://modelingthesp.blogspot.com/2011/03/model-freight-car-standards.html ), but also reflects problems like oversize flanges, out-of-tram truck behavior, or other operational issues. As an example, I will use a Mantua reefer. Minimal upgrading had been done to it, retaining its molded-on grab irons and sill steps, but with a reasonable paint and lettering job, as well as weathering. 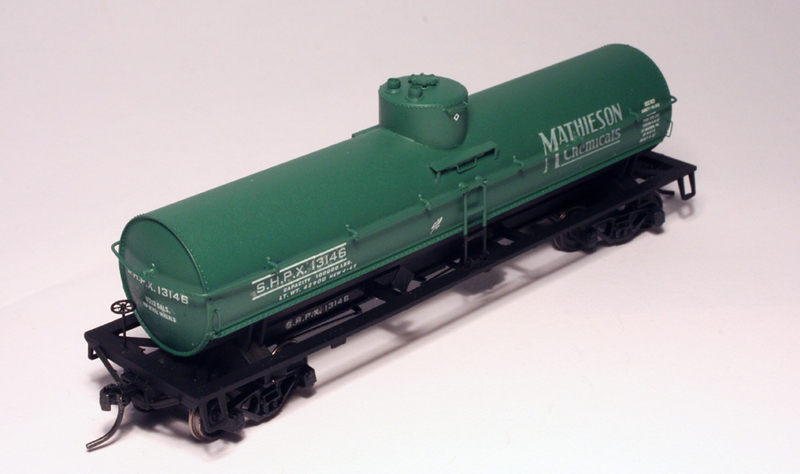 I have been working on some other “mainline” cars also needing new trucks, including some old tank car models and two Athearn metal house cars, but will just describe the Mantua example. Shown above is the car body, prepared as described. 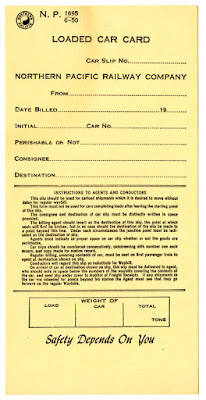 Notice the route card, located right outside the black rectangle identified as the location for such cards. This card location is often seen in photos, no doubt deliberately done by car clerks who didn’t wish to be dictated to. The car is intended to represent the MDT cars with steel ends and wood-sheathed sides built in 1941. The problem with the trucks can be seen in the view below. The Mantua truck is assembled as two cast metal sideframes, with a sheet steel bolster inserted into each sideframe. The sharp “cookie cutter” wheel flanges are an artifact of the 1950s. You can click to enlarge. I first tried to disassemble the truck so the wheelsets could be replaced, but could not separate the parts. Also, I could see that the axle ends of the Mantua wheelsets are very narrow, so that the sideframes would not readily accept modern wheelsets. I decided to just replace the entire truck. The original truck screws are very short and work only with the sheet-metal bolster shown above, so I simply tapped the hole deeper with a 2-56 tap, and chose new screws. One can of course apply a generic AAR truck to cars like this. However, there are plentiful resources in existence to provide prototype information. 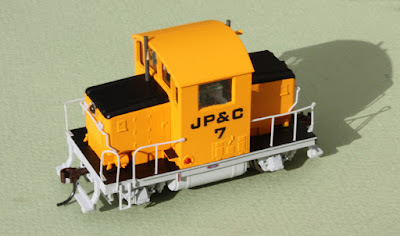 In the case of MDT, the book Merchants Despatch, by Roger C. Hinman (Signature Press, 2011) is the relevant example, and I examined a number of photos in the book to choose a suitable truck for this model. 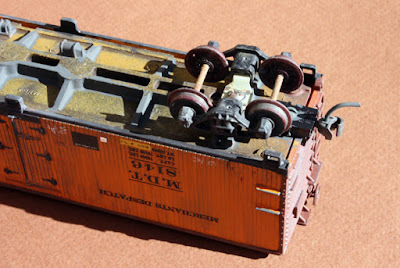 I ended up using the Tahoe Model Works truck TMW-106, an ARA sideframe design with spring planks, produced by Buckeye. The kind of job shown above on the Mantua reefer is almost trivial, except that it brings another car into conformance with standards, and also makes for better operation, when the oversize flanges of the Mantua wheelsets are replaced. In actuality, this kind of task goes on all the time with my fleet, and I only mention this instance here to use it as an example of the process. 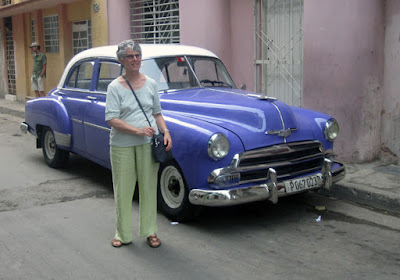 I’ve just returned from a visit to Cuba on a licensed “People to People” tour, and there were plenty of interesting aspects to the trip, but here I will just write about the railroad and modeling aspects of interest. First, a little history. Cuba developed a rail network very early, plenty of it to serve sugar mills and plantations, but plenty more to connect cities. By 1958, Cuba had the most rail mileage per square mile of any country in the world. After the 1959 revolution, the existing railway companies were nationalized as Ferrocarriles Nationales de Cuba, which they remain today. An unfortunate aspect of a single national railway entity on an island is that there is no need to letter the name or even the initials of the owner on any equipment; there is no interchange. Rolling stock thus has a rather bare look, often bearing only a number and some very minor dimensional data. The FC, as it’s often designated, dieselized its main lines in the 1960s, and sugar operations gradually followed suit, eliminating steam on even the most backward plantations by about 2000. But many small steam locomotives have been preserved, and a few restored for tourism. Because of the U.S. embargo, new locomotives and rolling stock have been purchased elsewhere throughout the world, from the Soviet Union and China, to France, Germany, Britain and countries in eastern Europe, and in recent years, even freight cars from Iran. The resulting fleet is polyglot, to say the least. I will only show a few photos, and apologize in advance for not knowing more about the prototypes. I searched a number of Cuban bookstores for locomotive or train books, and found almost nothing. The internet coverage is spotty and sometimes contradictory. I hope anyone with a more substantial knowledge of the subject can help. But these are only intended as illustrations. 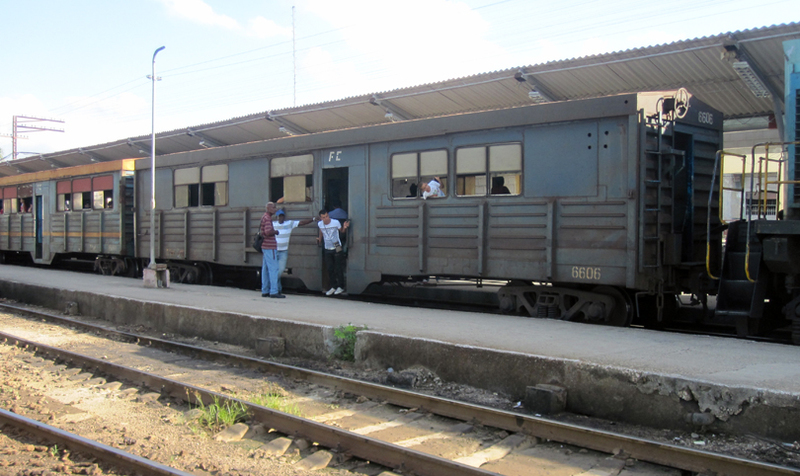 In Camaguey, the old railway station is terribly decrepit, though restoration is in progress, and a small replacement depot was very crowded. I was able to watch and photograph from trackside considerable switching activity, including adding cars to a departing passenger train, without attracting the least attention. Here is one of the Russian-built locomotives, no. 81001, I believe type TEM2, of which I saw several on our trip, in the red and yellow scheme which seems to be for freight power. These things sound a lot like Alcos. The passenger power largely seemed to have an attractive scheme of dark and light blue. Passenger rolling stock ranged from stainless cars built by Budd, to very run-down standard steel coaches, to newer center-entrance cars looking much like box cars, and apparently built new that way. 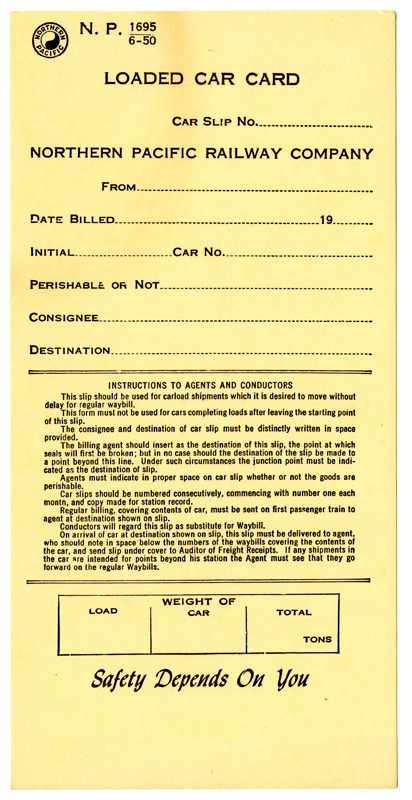 Note over the door the initials FC, not visible on many cars or locomotives. The Chinese company, formerly called China North Locomotive and Rolling Stock Industry (CNR) sold a fair number of locomotives to Cuba, and if I correctly understood the halting English of a trainman standing alongside one of them at Camaguey, they are hard to keep running. 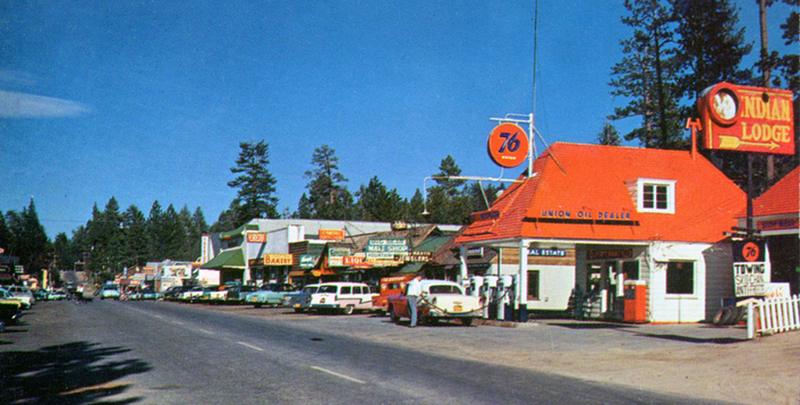 In a couple of places there were switchers in a pleasant orange and gray scheme, like no. 38063 here, but I have not been able to find out where they were built. It was picking up this head-end car. But enough about rolling stock I didn’t understand very well. The most stunning thing about Cuba, speaking as a modeler, is that walking in every city is like being in a 1950s movie. New American cars stopped arriving in Cuba in 1959, so there are 1950s American cars just everywhere. I knew they were there, but really had no idea how prevalent they are: they are not exceptions, they are the dominant car on the street. 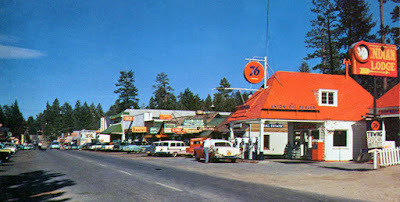 And even cars from the late 1930s and the 1940s can be seen too. I will only show a few of the many photos I took, and I can tell you, I plan to duplicate some of these models (though not the colors) on my 1953 layout. Many of the restored cars have been repainted in brilliant colors, and few have that many original mechanical parts. Suspensions are visibly altered, almost every car has modern wheels, and I was told that engines are rarely original (as was often evident from the sound). Many Russian and European parts have kept the cars running, and even homemade parts are used, attempting to replicate the unavailable American originals. There are lots of convertibles, partly because many of the cars are in use as privately-owned taxis, but there are also “classic car club” stickers on many cars. Owners are usually very proud of their car, and most speak English and are delighted to speak to an American. I am interested in correct model years, partly for modeling reasons, but I found car-spotting in Cuba to be a challenge. Not only may such spotting features as chrome trim as well as tail lights and other items be missing or replaced, even major visuals like grilles may be swapped. I saw an early 1950s Chevrolet with an unmistakable Buick grille, and a 1940s Ford with a unique homemade grille. This makes one a little cautious about identification of an individual car. So I will just show a few of the photos I liked. The massed taxis at places like the Parque Centrale in Havana are one good illustration, of the variety, the frequency of convertibles, and the bright replacement colors. Another street scene in Havana found my wife Mary alongside what I think is a 1951 Chevy sedan, clearly with replacement paint though otherwise looking more original than most. But like nearly every car, hub caps have vanished over the years. 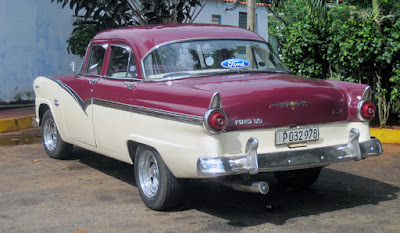 Here are a couple more that I really liked seeing, first a handsome 1955 Ford at a cafe on the road heading for Havana. 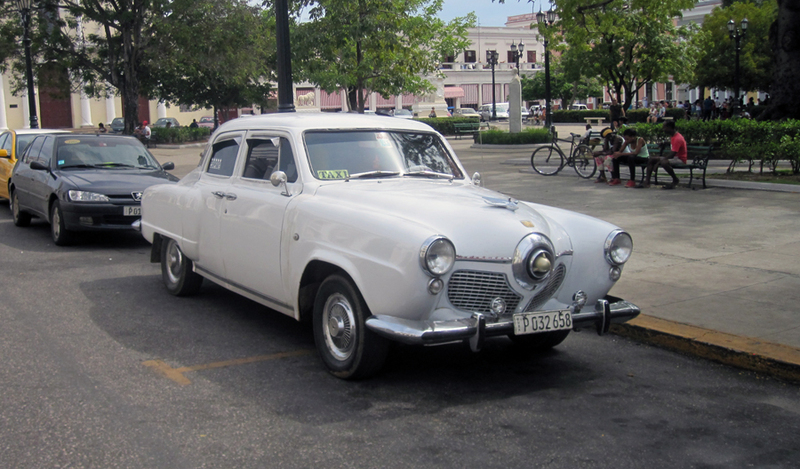 Last, a superb Studebaker on the main square in Cienfuegos, I think a 1951. We also saw Edsels, International and Dodge pickups, and many more . . . but I digress. You can see that it was a visually interesting trip, and of course fascinating in many other ways too, most enjoyable for us both. 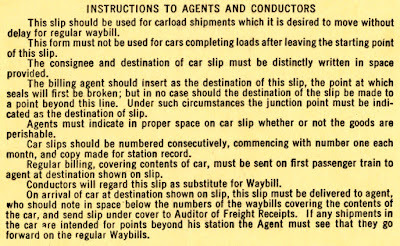 I have alluded in prior posts in the “Waybills” series to the extremely valuable publications issued by many (maybe most) railroads, called a Shipper’s Guide, Industrial Directory, List of Industries, or some similar title. 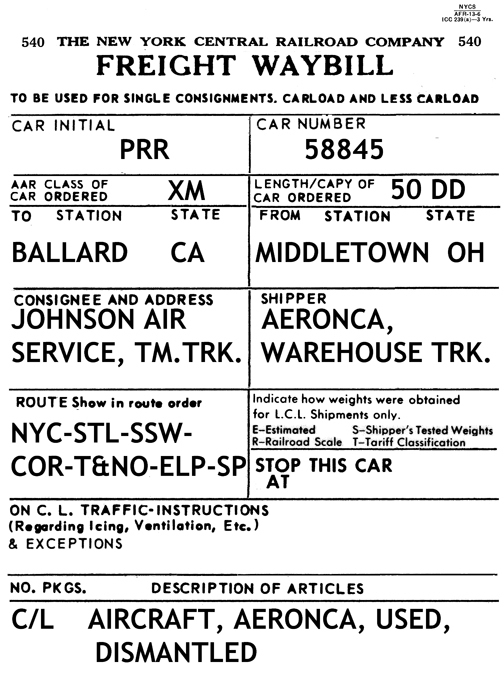 These documents list all on-line shippers and receivers, and are obviously superb resources. 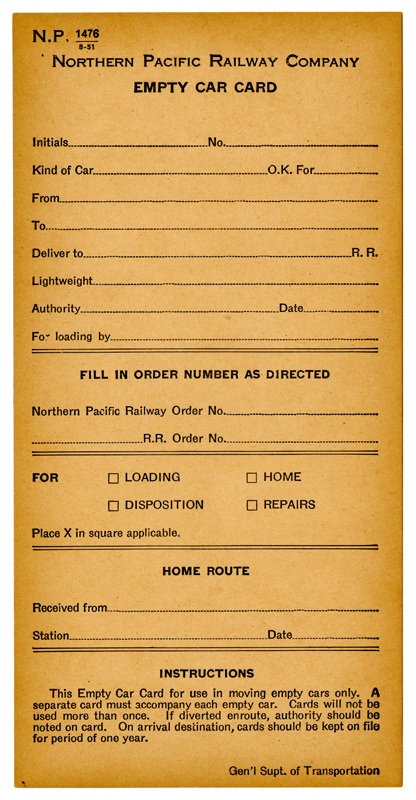 These are quite rare in the field of railroad paper items, in original form, and tend to be hard to find, even at railroad museums and archives, but luckily a number have been reprinted in recent years for modelers’ use. 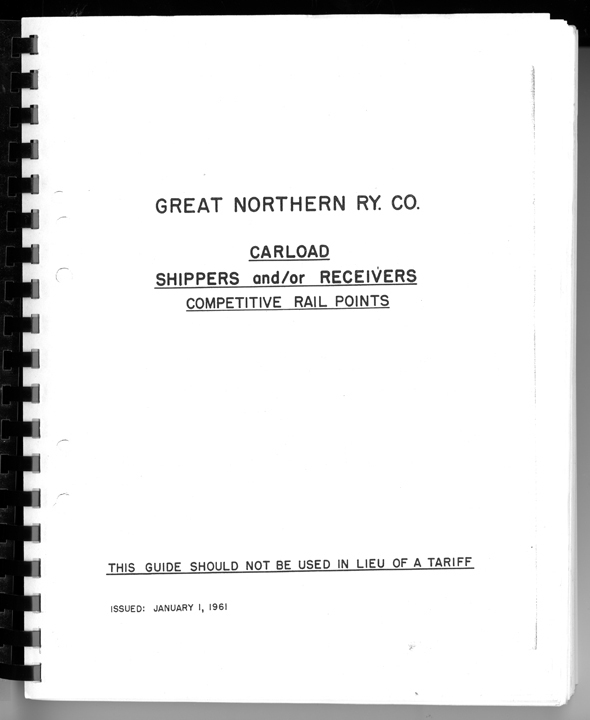 I am using reprinted Shipper Guides from Ted Schnepf’s “Rails Unlimited” business, for Great Northern, D&RGW, Union Pacific, Mopac / T&P, and Milwaukee Road. All these except the D&RGW one are available through Rails Unlimited (and here’s a link to their website: http://railsunlimited.ribbonrail.com/Books/shippers.html ; click on Books). 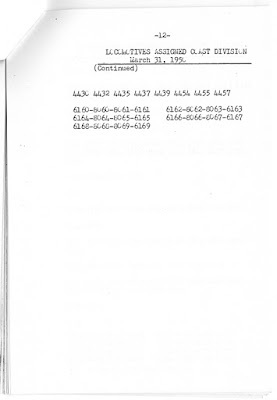 There are several posts in which I have commented about these documents (for example, this one: http://modelingthesp.blogspot.com/2012/02/waybills-18-resources.html ). Inside are 258 pages packed with irreplaceable information about both shippers and consignees throughout the sprawling Rock Island system. I will just show a single page to illustrate the kind of information presented. You can click on the image to enlarge it. The information is self-explanatory except for the far-right column, headed “SWG” (for “switching”), which shows whether sidings are accessible by reciprocal switching arrangements (called “open”) or not (“closed”). The five towns listed, each in a different state, are evidently small and have only a few industries each. By contrast, cities like Houston, Kansas City, Denver, or Minneapolis require dozens of pages to list all industrial customers. 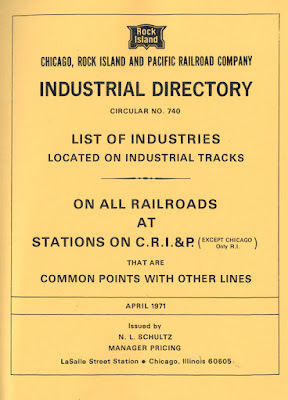 In fact, this 1971 Rock Island Directory is so comprehensive, it now joins my Great Northern Guide (also from Rails Unlimited) as my favorite useful and wide-ranging source of traffic information. 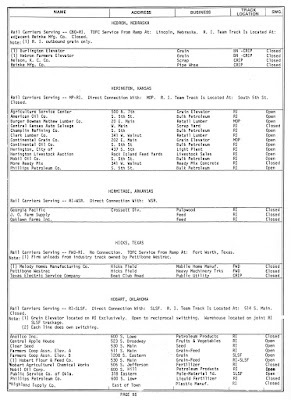 There is another source of this kind of information about shippers and consignees, namely the large list compiled by the OpSIG group (Operations SIG of NMRA), which is available at their website, www.opsig.org, under “Online Resources,” and then “Industry Database.” This collected information is a fine effort by OpSIG and continues to grow, but be careful, as it is for a wide range of eras. Usually the date for each entry is shown, so it is possible to choose only the ones that fit your era. 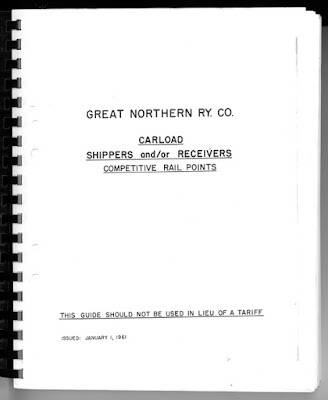 And though very extensive, it is in general less complete for a specific place than a Shipper Guide. In place of the process just describe, one can of course “imagineer” company names for either consignees or shippers if desired, but I like to find authentic ones where possible, partly because the “real names” often sound particularly realistic, as in this case. I cannot praise enough the value of a Shipper Guide in assisting you in that process, should you wish to work in that direction. Several years ago, I posted some comments to this blog about how I manage the flow and storage of the rolling stock on my layout (you can read it at this link: http://modelingthesp.blogspot.com/2011/12/operations-car-flow-and-car-storage.html ). I have a fair number of freight cars beyond what is needed to operate the layout, partly to create variety in operations, but certainly not least because I am a freight car enthusiast. I have always enjoyed researching and building new freight cars, and the result is a car fleet rather distinctly too large for the layout, even with extensive staging capacity. One change I have made is to add some of the A-Line storage boxes. (These products are shown on their website, at: http://www.ppw-aline.com/hobbytote.htm ), though I have never bought the sleeve which makes them into a “tote;” I just buy the boxes.) These do a good job of holding about 16 cars each (for 40-foot cars), and they are well protected. Here is one such box, with the lid set aside. I continue to use my paper-carton boxes with trays (as described in the post linked at the top of this post), though because these are less quickly accessible than the A-Line boxes, they have become a kind of “deep storage” option. 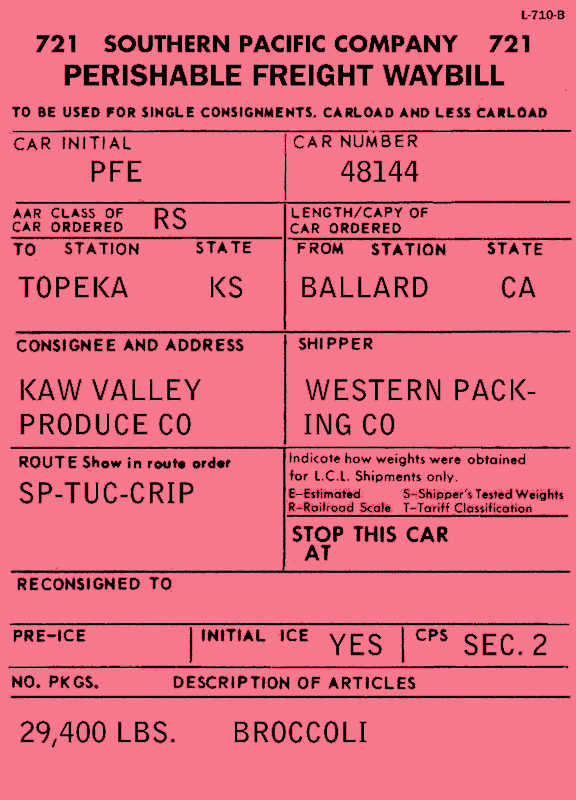 Gradually the cars which are less frequently used are migrating into the paper-carton trays. Those cartons and trays were shown in the previous post, a link to which is at the top of this post. The most active “pool” of cars is on the staging table, either made up into mainline trains, or simply in place on the storage tracks. This pool varies over time, with cars migrating off and onto the staging tracks as layout operations continue. Here is a shot of the table as it is at the moment. The table is not quite fully extended, as the furthest track visible is the 11th (there are 12 in all). The other part of the active “pool” storage is the shelving in my adjoining room (the kitchen, when this space was a sub-size apartment). These cars supplement the cars on the staging table. The top and bottom shelves are not really curved, the lens focal length just makes them look that way. How is this managed? I have a chart laying out the sequence(s) of car movements at each industry or other car spot (this procedure, a version of what can be called “demand-based car flow,” was described previously: http://modelingthesp.blogspot.com/2011/11/operations-demand-based-car-flow-2.html ). 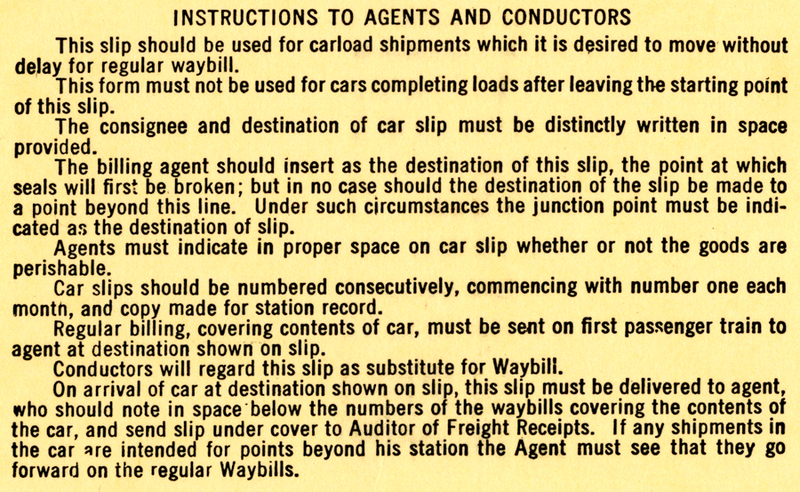 From that chart, I make up a list of the movements which are the next sequence of operation, and go to my “pairs list,” described in an earlier post ( at: http://modelingthesp.blogspot.com/2012/02/waybills-17-pairs-list.html ), and thereby find the cars with waybills for each of those car spots, along with the overlay bills for each spot. The waybills are filed by industry, so are readily retrieved. Then the car itself is located in storage by a (searchable) roster of all cars in active service. One of the entries for each car is its location, in a paper carton, in an A-Line box, or in the pool. I summarized an earlier version of this process in a blog post a few months ago (see it at: http://modelingthesp.blogspot.com/2015/07/waybills-part-42-flexibility.html ). Obviously the car roster is a critical part of this process, and I have learned that the roster has to be kept up to date as cars move around between various storage locations. I usually indicate such movements with pencil corrections on the most recent print-out. When a page gets too heavily marked up, I just update the electronic file and reprint the page. All in all, the process described above does work, and seems to provide good operational movement of cars, while permitting some selection of cars for each movement (because there are multiple waybills for every industry and car spot). I am always experimenting with ways to make the process more efficient, but for now, what I’m describing works well.